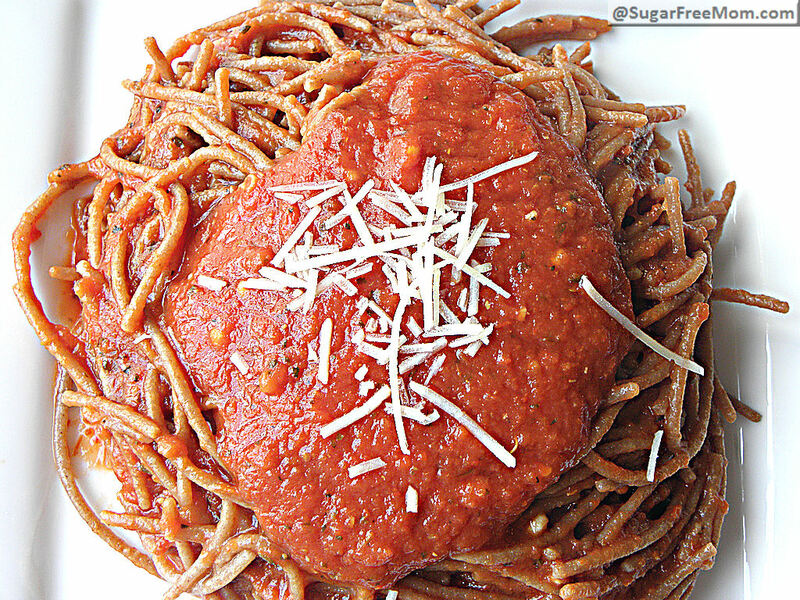 Healthy, delicious, sugar-free tomato sauce is hard to come by in a jar or can. Most often it contains ingredients I don’t want in my body, like sugar. For those with gluten sensitivities, buying store bought of any product can be challenging. Here’s a wonderful article By EveryDay Health, “There’s Gluten in That? Surprising Foods, Cosmetics, and Pills That Contain Gluten” that was a huge eye opener for me! 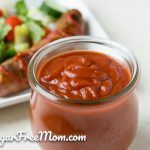 Most jarred tomato sauces are gluten free, but isn’t it better to be able to be in control of what goes into your body by simply making your own? It is not as long a process as one might think. Its very simple, economical and tastes even better! It’s much less expensive to buy 2 cans of crushed tomato than it is to buy 2 jars of prepared tomato sauce. So when you have a hankering for some delicious, authentic Italian sauce , you must try this. You will never want to buy prepared sauce again! 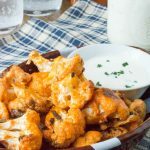 Since this sauce is meatless and has a nice, smooth texture it is perfect for recipes like Baked Chicken Parmesan, Oven Fried Chimichangas, and Gluten Free Lasagna Roll-Ups. 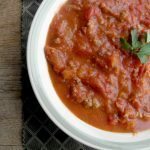 If you prefer a chunky, meaty sauce you can try my Traditional Italian Bolognese sauce that is out of this world! You just can’t go wrong with a homemade, gluten- free, sugar-free and downright flavorful tomato sauce any day of the week! The nutrition info has been calculated at myfooddiary.com The recipe makes about 8 cups so I calculated that a half a cup would be sufficient for one serving making 16 servings in this recipe. If 1/2 cup is not enough just double the nutrition info here. 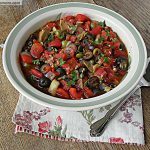 Heat the oil in a large Dutch oven or pot. Sauté the garlic. Add all the other ingredients to the pot and bring to a boil. Once at a boil, cover and reduce heat. Simmer for 25-30 minutes. Add optional toppings and serve over your favorite pasta! 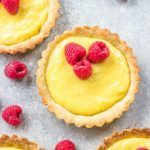 May I please pin your recipes/pics on my Pinterest board-I only use the recipes @ home & I will be sure to link them back to you. 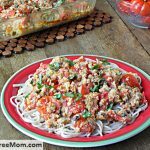 Is there a particular brand of crushed tomatoes that you recommend? Thanks! Hi Melinda, I like Pastene or Tuttorosso. 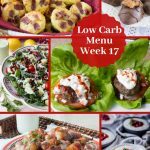 I have been diabetic for years now and have been struggling with finding/remaking recipes. I can’t begin to tell you how happy I am to find your blog. I look forward to trying recipes. This is great! 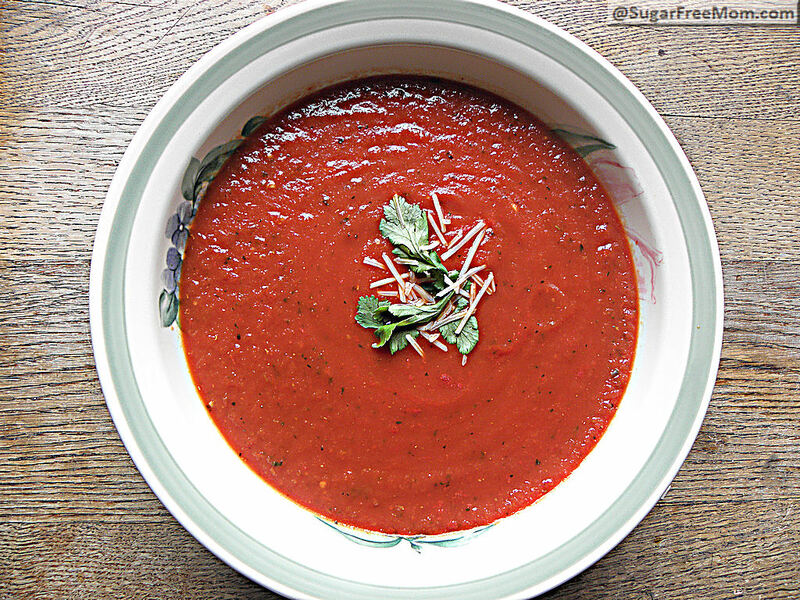 I was looking for a recipe for a sugar free tomato soup – have any ideas – do you think this sauce could be used for that purpose? I’ve never made a tomato soup so I don’t know for sure. If you try it let me know! 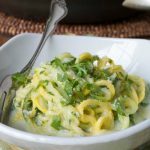 I like both,healthy and Italian food why I really like this recipe. I don’t really have this “too much sugar” problem, because I use fresh tomatoes to make this sauce, but I know that most people use those not so healthy types of sauces that can be found in a can. So, in that case I think this is a much better choice. Great work! You’re cute! 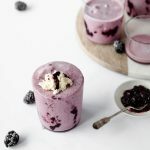 Its super yummy, enjoy! could this be canned and stored? or even frozen? I’ve frozen it and its been fine and just as delicious once defrosting it. I haven’t canned it but I’m sure as long as you follow proper canning procedures it should be good to go! Don’t the cans of crushed tomatoes have sugar in them? not the ones I use, Tuttoroso and Pastene. Hi there I was just looked for some no sugar added recipes and came across your website. This recipe looks delish and I am super excited to try it but I just wanted to note that tomatoes do have their own sugar without any added. Even the brands you mentioned have sugar in them just no added sugar. If you look at their nutritional label you will see the grams of sugar in the cans listed there. For a diabetic the nutritional information box your provide may be misleading. I calculate my nutrition info through my food diary.com and feel pretty confident that the information is accurate. Since you questioned it I redid the information once more and realized I actually had too few servings for the recipe. I just adapted it now and although natural sugar is in tomatoes, divided by the amount here per serving it is very low. Hi there, I am on a special very strict diet that is being monitored by a Dr. What I am able to eat outside of the 3 meals given to me is very limited. so other than meat and salad it has been very hard to try and expand my menu following their guidelines. There is allot that I am not able to have. 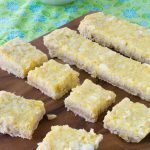 So finding this recipe of yours is like a gold mine for me and I can’t wait to see what else you have available!!! Thank you soo much I am very excited. I love the recipe. I will never buy jarred spaghetti sauce again. We are also watching our salt intake so I buy no salt added tomatoes and leave out the salt. I add extra herbs and garlic to make up for not having salt. Delish! 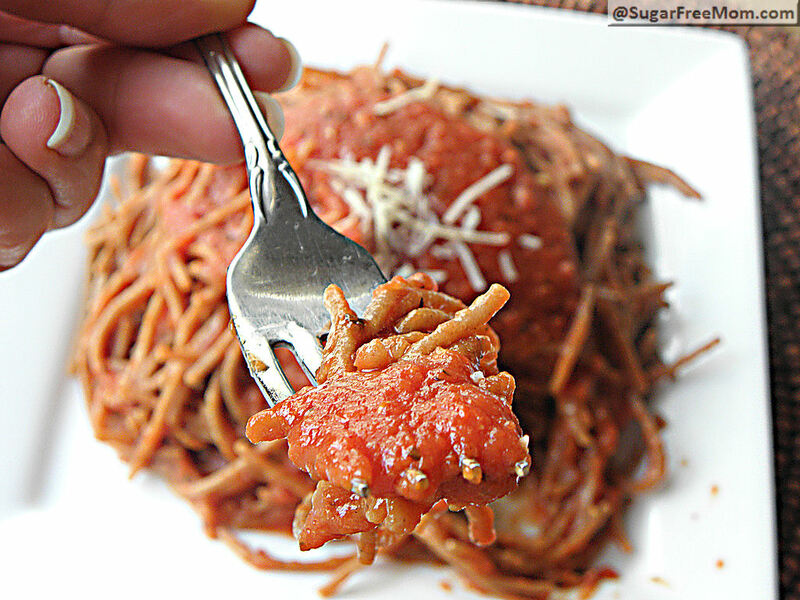 We are currently doing a 21 Day Sugar Detox program, and this sauce is so tasty, I don’t even miss the sugar (or salt), which I’m using in an eggplant parmesan recipe. Thank you! In response to the canning query. I have been canning for twenty-five years. In that time I have canned several different recipes of spaghetti sauce…successfully…as Brenda says, “Following proper canning procedures”. But can the sauce only…do not try to can it with the pasta in it. Can the olive oiled be substituted with canola? Thanks! I’m sure you could if that’s the oil you prefer. 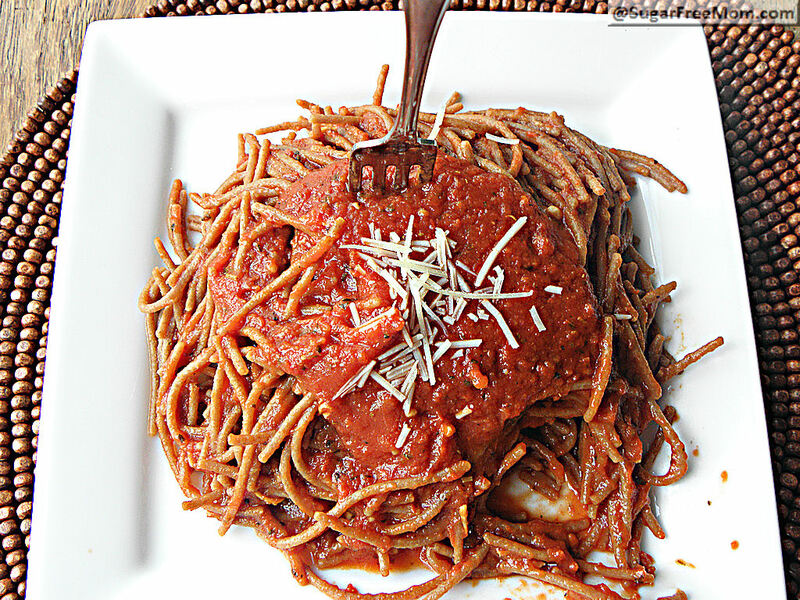 I haven’t bought tomato sauce since I started making this recipe. Delicious, free of unknown / mysterious additives, and so versatile! I use this to bake chicken, mix with zucchini noodles and tons of other dishes. Always have a jar in my fridge ready to go. THANK YOU! Thank You! I used this in a vegan grilled veggie lasagna. It was good enough to satisfy some meat lovers! I made this for dinner tonight and it’s great! I tried this recipe, following everything as described, but it came out very runny – more like a very watery soup. Not anything like a tomato sauce and nothing like the picture shown. I don’t know what I did wrong, but it just did not work as described. Is this supposed to have 11/2 cup water aka 5.5 cups or 1 1/2 cups water aka 1.5 cups? Hello. I tried this recipe but it came out runny. It had great flavor but I didn’t get the consistency right. Any suggestions as to what I may have done wrong? I only used 1cup water.